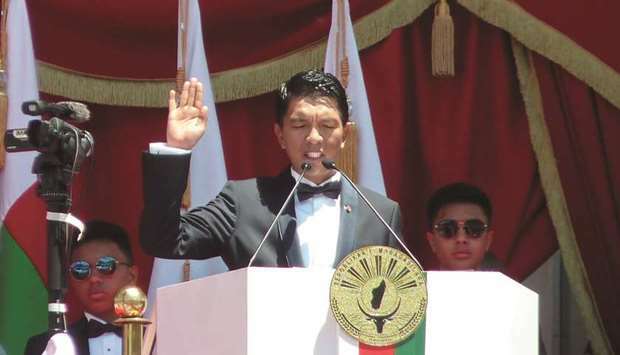 Lusaka, Monday Jan 21, 2019: Secretary General Ms Chileshe Mpundu Kapwepwe has sent a message of congratulations to Madagascar’s new President His Excellency Andry Nirina Rajoelina for winning the 2018 Presidential elections. President Rajoelina is now the Chairperson of the COMESA Authority taking over from former President Hery Rajaonarimampianina. COMESA has also congratulated all the candidates in the electoral process and the people of Madagascar for holding a peaceful election. Gratitude has been extended to the Electoral Commission of the Republic of Madagascar for the able manner in which they handled the entire electoral process. The Secretary General on behalf of the Secretariat committed to work with President Rajoelina to attain the benefits of regional integration through the COMESA Economic integration agenda. She thanked former President Rajaonarimampianina and Interim President Rivo Rakotovao for their contributions to the economic development and consolidation of the rule of law and democracy in the Republic of Madagascar.